Myth debunked: Astronomers don’t hate Pluto! Pluto is, somewhat indignantly, considered by some to have been demoted from a planetary status to dwarf planet status. Indignance at this reclassification is not only misplaced, however, but also ill-informed. Pluto’s reclassification to a dwarf planet indeed arose from a much-needed definition of what could be considered a planet or otherwise. Pluto happened to be the first of several Kuiper belt objects discovered, and at the time of its discovery in 1930, it was indeed considered to be a planet as no other objects were known beyond Neptune. We know today, however, that there are likely thousands of these icy bodies in an orbit around our star beyond Neptune. Pluto just happens to be one of them – classifying Pluto as a planet would mean that several other Kuiper belt objects would also need to be classified as planets. In fact, the definition of a planet has now been updated to include that a planet needs to be in orbit around a star, has to have a stable shape due to its own gravity and has to be dominant in its own neighbourhood. 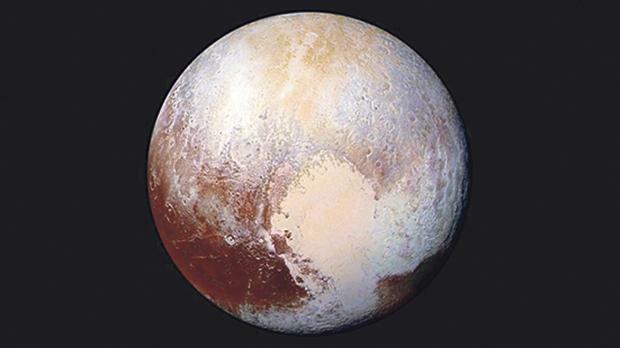 Pluto fails to fulfil the final characteristic, ergo classifying it as a dwarf planet!